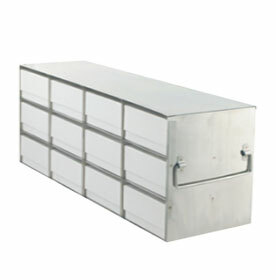 Upright Freezer Racks for sample storage boxes in low temp and ultra low temp are designed to hold fiberboard or plastic storage boxes including polycarbonate boxes, polystyrene boxes and polypropylene boxes. 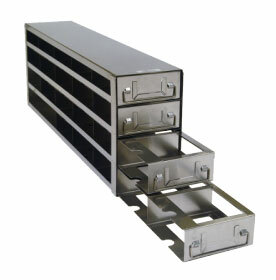 These universal racks fit a wide variety of freezer sizes and models, are constructed of corrosion resistant stainless steel and provide safe, convenient storage of your samples. 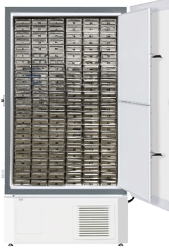 If you are not sure which freezer racks will fit in your -20, -30 or low temp freezer, use our freezer rack configurator to find the right inventory system configuration.